Japanese Prime Minister Shinzo Abe said on Friday that United Nations sanctions on North Korea needed to be firmly imposed. JUST IN: South Korea says North Korea missile launch will only result in diplomatic, economic isolation. South Korean President Moon Jae-In ordered analyses on new North Korea threats like EMP attacks. U.S. Defense Secretary Jim Mattis said on Thursday that North Korea's missile launch over Japan "put millions of Japanese into duck and cover" before it landed in the Pacific Ocean, and added that top U.S. officials had fully coordinated after the test-launch. Japanese Foreign Minister Taro Kono said he thinks the missile that North Korea fired on Friday was an intercontinental ballistic missile (ICBM), given its firing range, public broadcaster NHK reported. North Korea fired a ballistic missile over Japan on Friday morning, Japan's government said, strongly protesting against what it called Pyongyang's latest intolerable provocation. The standoff over North Korea could lead to "nuclear war", a Japanese pro-wrestler turned lawmaker warned on Wednesday, urging nations to dial down the tension after the isolated country fired a missile over northern Japan last month. North Korea remained defiant over new U.N. sanctions imposed for its latest nuclear test, vowing on Wednesday to redouble efforts to fight off what it said was the threat of a U.S. invasion. South Korea said on Wednesday traces of radioactive xenon gas were confirmed to be from a North Korean nuclear test earlier this month, but it was unable to conclude whether the test had been for a hydrogen bomb as Pyongyang claimed. North Korea's ambassador to Peru said Tuesday that Lima's decision to expel him was akin to "throwing gasoline on the fire" on the dispute over Pyongyang's nuclear tests that it would continue to pursue "without wavering." 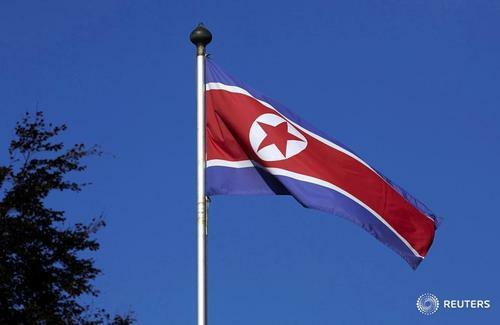 Frustrated U.S. lawmakers called on Tuesday for a high-powered response to North Korea's nuclear tests, saying Washington should act alone if necessary to stiffen sanctions on companies from China, Russia and any country doing business with Pyongyang. U.S. President Donald Trump said on Tuesday that fresh sanctions on North Korea approved by the U.N. Security Council were just a small step and "nothing compared to what ultimately will have to happen." North Korea does not want to start a nuclear war and the world is not seeking to overthrow its leader Kim Jong Un, the U.N. disarmament chief said on Tuesday. NATO has joined world powers' diplomatic efforts to stop North Korea's missile program but it cannot yet rely on its U.S.-built shield to defend Europe, experts and diplomats said. U.S. Treasury Secretary Steven Mnuchin said on Tuesday that if China doesn't follow the United Nations sanctions approved on North Korea, he will seek new financial sanctions on Beijing to cut off access to the U.S. financial system. North Korea warned on Monday the United States would pay a "due price" for spearheading a U.N. Security Council resolution against its latest nuclear test, as Washington presses for a vote on a draft resolution imposing more sanctions on Pyongyang. North Korea's "reckless behavior" is a global threat and requires a global response, the head of the NATO military alliance said on Sunday. North Korean leader Kim Jong Un hosted a massive celebration to congratulate his nuclear scientists and technicians who steered the country's sixth and largest nuclear test a week ago, its official news agency said on Sunday. Ethnic Koreans living in Japan are nervously watching growing tensions over North Korea and are wary of a possible backlash against their community as Pyongyang ramps up its sabre-rattling. South Korean nuclear experts, checking for contamination after North Korea's sixth and largest nuclear test, said on Friday they have found minute traces of radioactive xenon gas but that it was too early to specify its source. Chinese President Xi Jinping told President Emmanuel Macron on Friday he hoped France could play a "constructive role" in restarting talks on North Korea, state TV said.